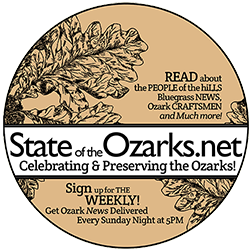 As Shepherd of the Hills became a bestselling novel, fans of the book began flocking to the Branson area. The visitors hoped to experience Shepherd of the Hills country for themselves. Locals latched onto the notion of making a living from this newfound influx of tourism. 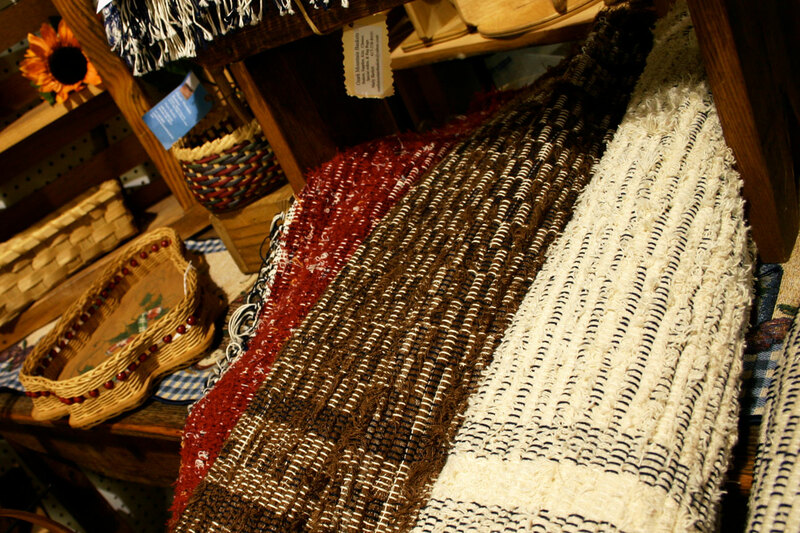 From playing the part of the “hillbilly” to handcrafting Ozarkian goods to printing “hillbilly postcards,” many people dug out their own niche markets to make a living wage. It was easier work than laboring in the tomato canning factories or cutting down oaks for the railroad. And travelers paid well to take home their own piece of the hillbilly Ozarks. Pearl “Sparky” Spurlock drove her 1928 Buick to pick up guests at the White River Hotel (today long-gone as the location is beneath the present-day Branson Landing). Her sightseeing excursions bumped over dirt roads better described as wagon trails: first over Dasher Bald and finally to the cabin of John and Anna Ross (Old Matt’s Cabin). The Ross family had relocated to Garber, Missouri, northwest over the ridge from their homestead by just a couple of miles. The rush of tourists had literally driven them from their own farm. Spurlock said she just loved to drive and tell stories. 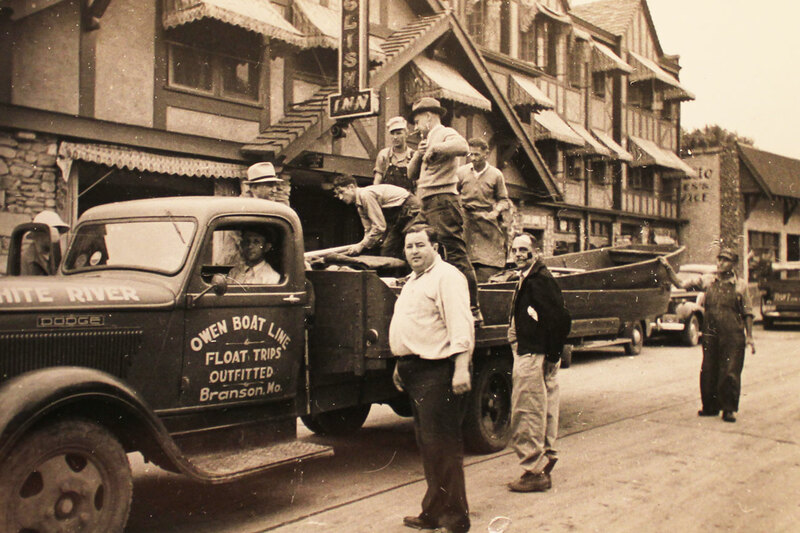 Opening his float trip business in 1935, Owen hosted uncountable visitors on the White River, including many Hollywood celebrities (including Smiley Burnette, pictured above). He also built the Owen Theatre in 1936. The building stands today as Branson’s first theater. 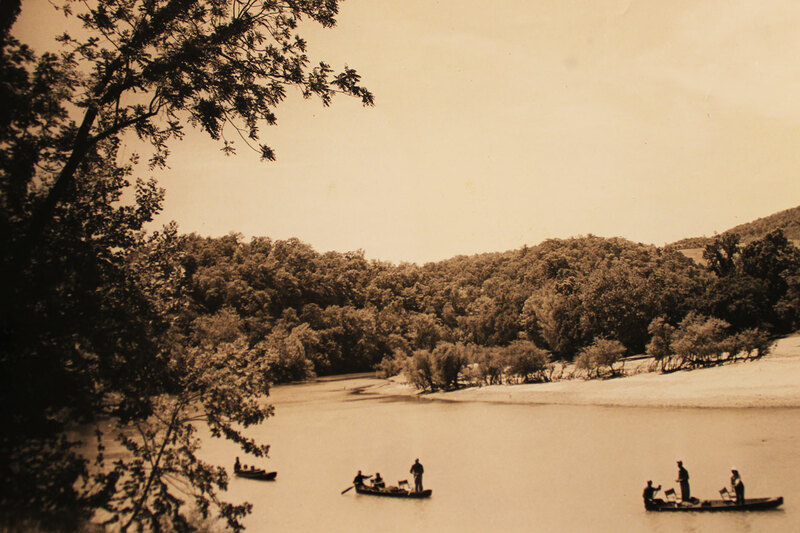 Sadly, with the completion of Table Rock Dam in 1958, the era of float trips came to an end. 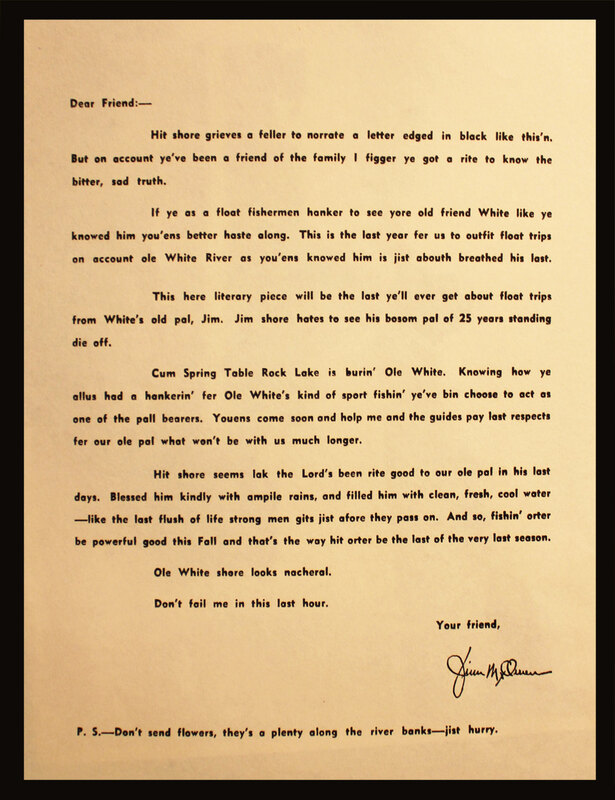 Owen would send his clients black-edged funeral letters announcing the coming lake and the end of the White River as they knew it. 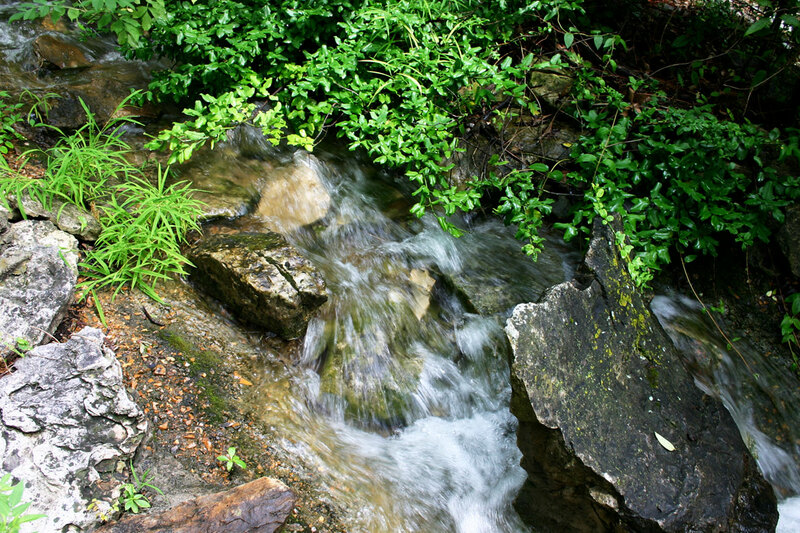 Over in Stone County near present-day Branson West, Truman Powell had adventured into Fairy Cave, now called Talking Rocks Cavern. In 1907, Truman’s youngest son Waldo purchased the property. 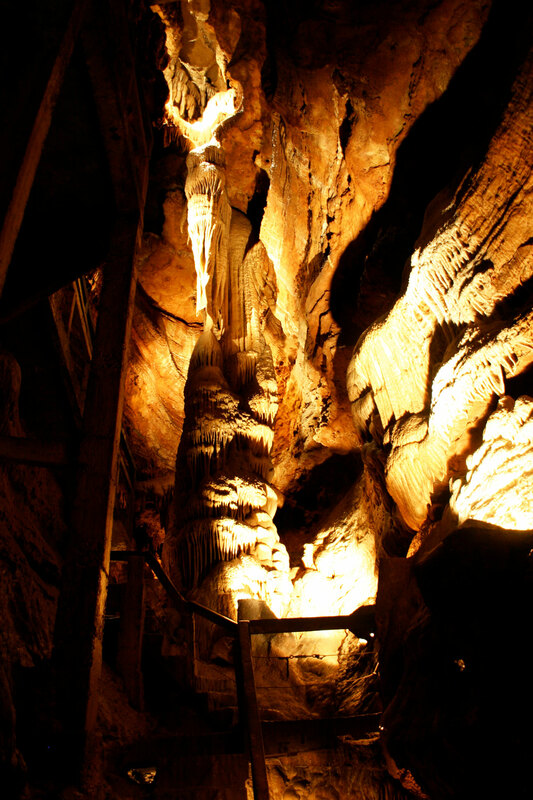 The family opened the cave to tourists in 1921. The cave was described as a “subterranean fairyland” by Truman Powell but he also said the limestone formations were so evocative they seemed to “talk” to him, inspiring the cavern’s modern-day name. Truman Powell is also believed to be Harold Bell Wright’s inspiration for the eponymous character of “the Shepherd.” You see, our history here is woven tightly like a blanket with each thread sharing its own place. But without every thread, the blanket could come undone. Big changes were ahead for Shepherd of the Hills Country. Story by J. Thomas with Joshua Heston. Contemporary photos by Joshua Heston. 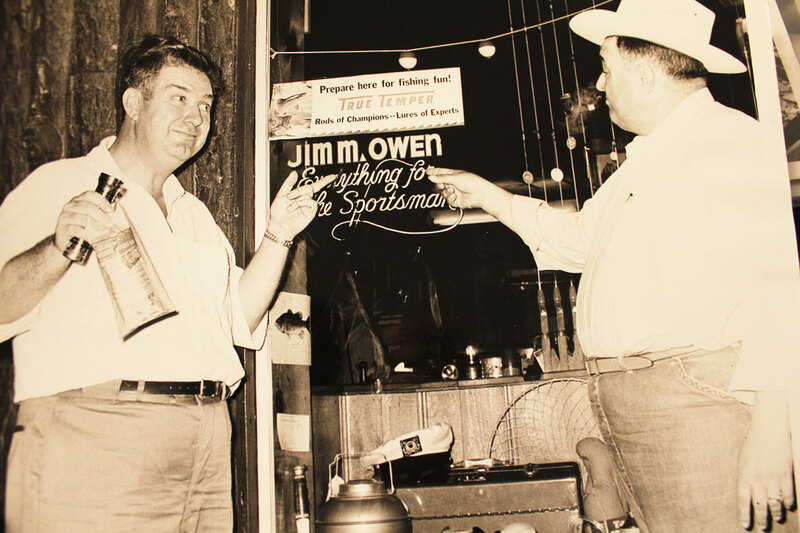 Archive photos courtesy of Joanie Stephens of Reeds Spring, MO.